Legends abound in Kathmandu. From the mythical beginnings of the valley in which, Manjushree, the patron deity of the Kathmandu Valley came upon a lake wherein lay a lotus bloom. Manjushree then struck the southern end of the lake with a sword cleaving the rock and draining the lake to reveal what is today the valley of Kathmandu. The spot where the lotus bloom once stood is marked now by the Stupa of Swoyambhunath, the oldest of its kind in the world and a UNESCO designated World Heritage Site. But, more than legends it is the stark reality that greets you wherever you go in Nepal in the form of the mighty Himalaya that never fails to inspire and instil a sense of awe in you. 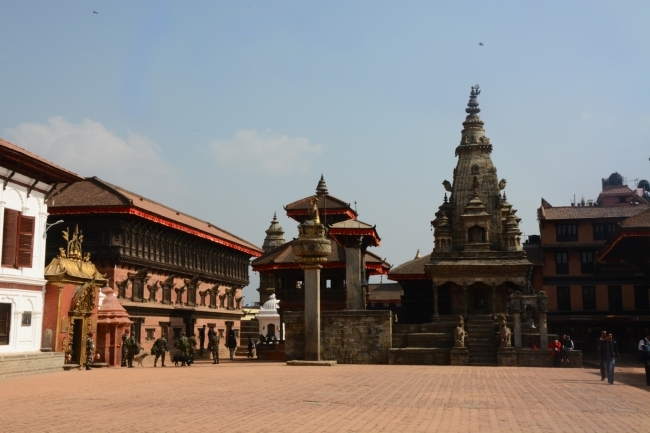 This short tour involves up to three half day sightseeing tours and will take you through the Kathmandu Durbar Square – whose temples are some of the finest specimen of Nepalese architecture, the Patan Durbar Square – noteworthy for its fine art and craft in addition to traditional Newari building styles and the Bhaktapur Durbar Square - probably the best preserved specimen of all the old palace squares in Nepal. In addition the tour will also take you to the Pashupatinath Temple – one of the holiest Hindu shrines in the world and an important pilgrimage stop for Hindus, the Boudhanath Stupa – the largest Stupa of its kind in the world with dome-shaped structure with its all seeing eyes of the Buddha looking to the four cardinal directions, the Swoyambhunath Stupa – 2000 years old and located on a hillock over-looking Kathmandu, surrounded by many temples and pagodas of both the Buddhist as well as the Hindu faiths is a prime example of how Hindus and Buddhists have mixed and mingled and lived in harmony with each other for many centuries . The tour finishes with a visit to Nagarkot, a charming village on the north eastern rim of the Kathmandu valley from where you will have unobstructed views of the Eastern and Central Himalaya including Mt. Everest (8850 m), the highest point on earth. An optional mountain sightseeing flight serves to cap off a visit to Nepal"s mystical Capital. These trips are good for families with children as well as for senior citizens. Day 01 Arrive in Kathmandu .Transfer to your hotel .Depending on the arrival time of your flight sightseeing of Kathmandu. Day 02 "Mountain Flight" , at early morning. Sightseeing tours of Pasupatinath Temple , Boudhanath Stupa , and Patan Durbar Square . Day 03 Early morning sightseeing of Bhaktapur and Changunarayan .And transfer to the resort village of Nagarkot. Day 04 Early morning hike to watch the sun rise over the mighty Himalaya, including Mt. Everest (8850 m.)Return to the hotel and transfer to the airport for your departure from Nepal.